On Wednesday 25 February 2015 at 20:00. In this link there is an article translated from the magazine Enlightenment. Keep the Home of the Natural Laws in the Activity. It is the story of a couple who took 4 Advanced techniques in a year to prepare for the TM-Sidhi. All secondary links lead to pages in English. 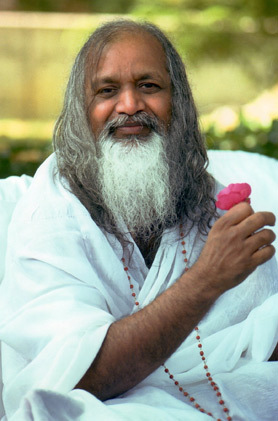 The article and its comments help give a vision of simplicity and depth of Advanced Techniques program, as with other programs of Maharishi. You can also read the article here. When we practice the Transcendental Meditation there is increased brainwave coherence indicating that the brain is functioning seamlessly. This allows more aware, more alert. Advanced Techniques increase and integrate this experience in the activity. Advanced Techniques enhance, expand and stabilize ALL the benefits of Transcendental Meditation, proven by over 600 scientific studies published. Tested in the lives of millions of people and feeling each person after their single daily sessions or group. In this VIDEO Maharishi talks about what the objective of Transcendental Meditation, life in fullness in an interview with the Canadian TV. This is the objective of the Advanced Techniques.